Korean idols Super Junior held successful shows in Taiwan, performing in front of some 30,000 fans over the weekend. 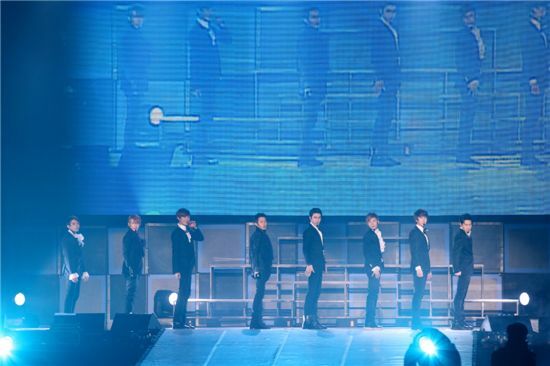 According to a press release from SM Entertainment on Monday, Super Junior took the stage for a series of shows at the Taipei Arena from March 11 to 13 for their "SUPER SHOW 3" in Taiwan, making them the first foreign artist to hold three concerts at the arena. They rocked the stage with a number of their hit songs including a parody of "Sorry Sorry," "U" and "BONAMANA" followed by solo and unit performances from Super Junior-T and Super Junior-M as well as a guest appearance by fellow SM labelmates TRAX who sang their song "Oh My Goddess!" Meanwhile, the group has been dominating the music charts in Taiwan for 42 consecutive weeks with their title track "BONAMANA" from their fourth full-length album of the same name, while "Sorry Sorry," from the band's third album, topping Taiwan's KKBOX's music chart for 36 straight weeks. Super Junior, often referred among fans as "SuJu" in short, made their debut in late 2005 as one of the most popular boy bands in the world but have recently been promoting themselves with just 10 members. 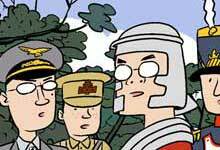 Kang-in is serving his mandatory military duties, Kibum will be focusing on his acting career and Hangeng is currently embroiled in a legal battle with SM. Nevertheless, the boys have been one of the most popular K-pop acts in the Asia region with numerous hit songs such as "Don't Don" and "Sorry, Sorry" under their belt. 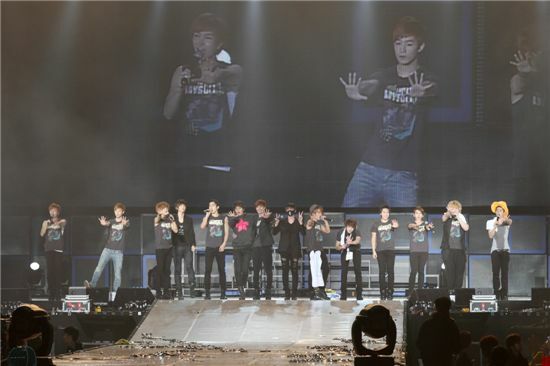 The group is currently on their Super Show 3 tour and are scheduled to perform in Kuala Lumpur, Malaysia on March 19.